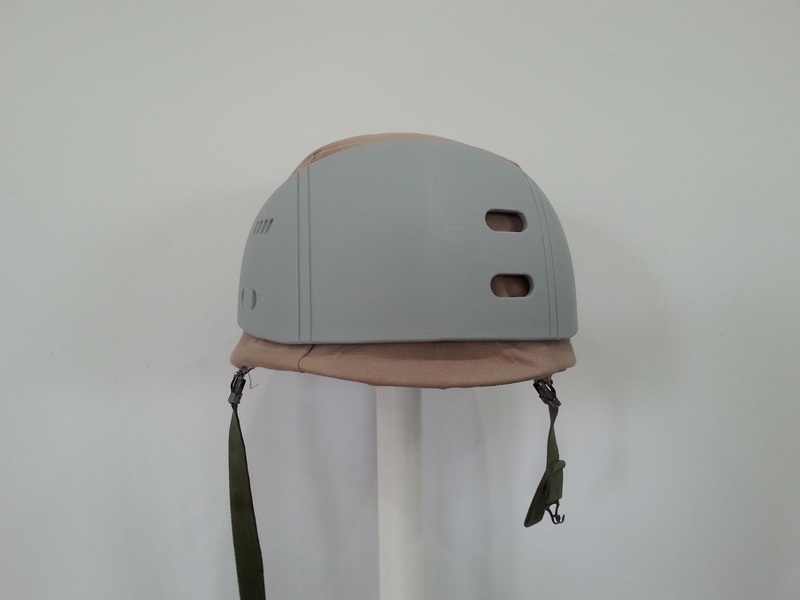 After hours of deliberation over the reference material and replicating it in fusion 360 I have something to show that is tangible. 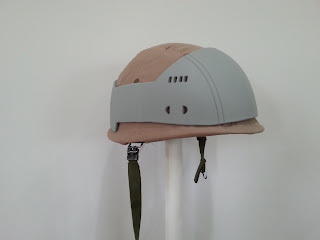 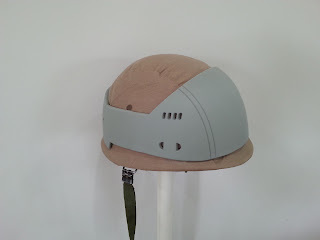 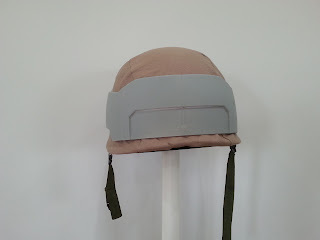 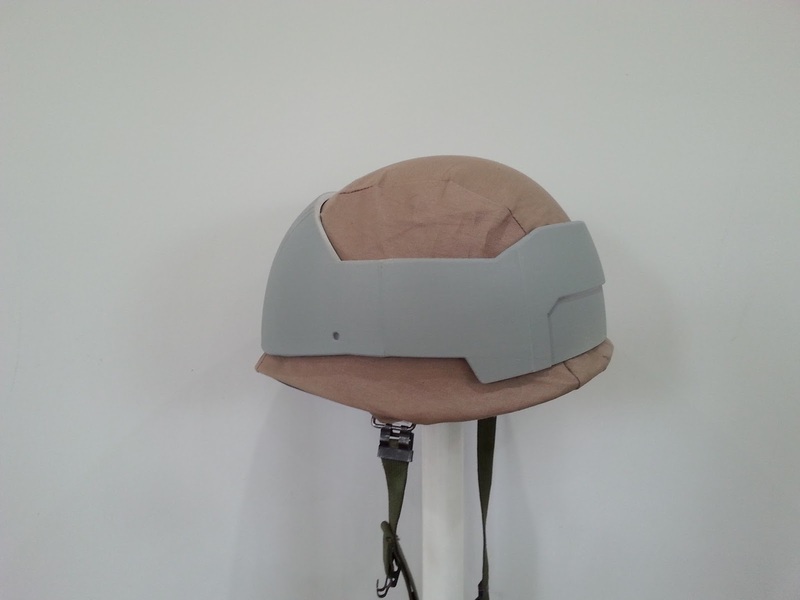 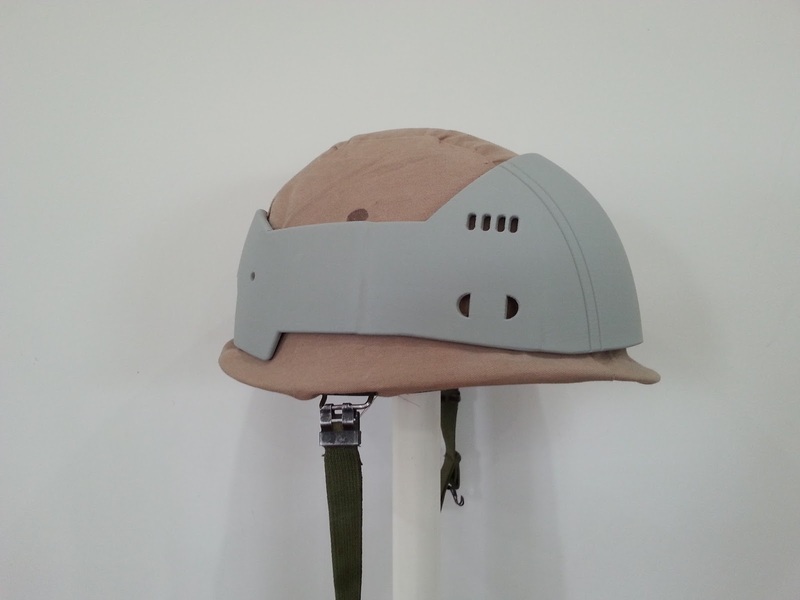 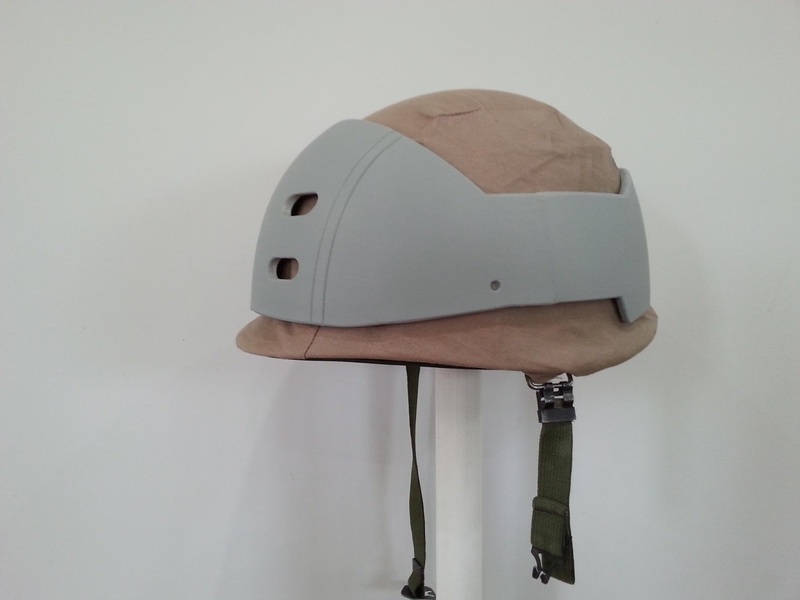 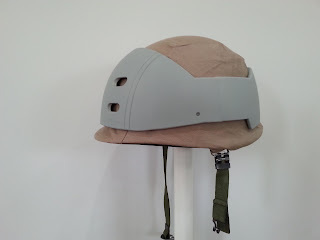 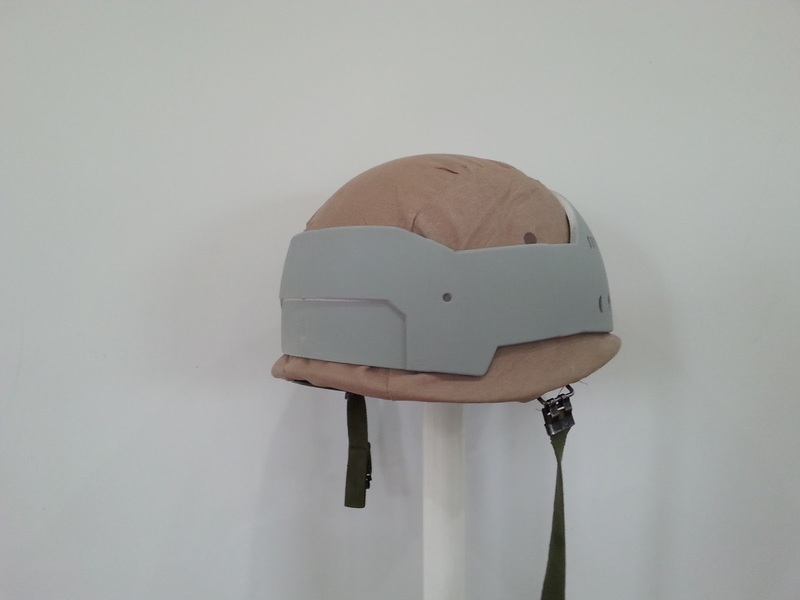 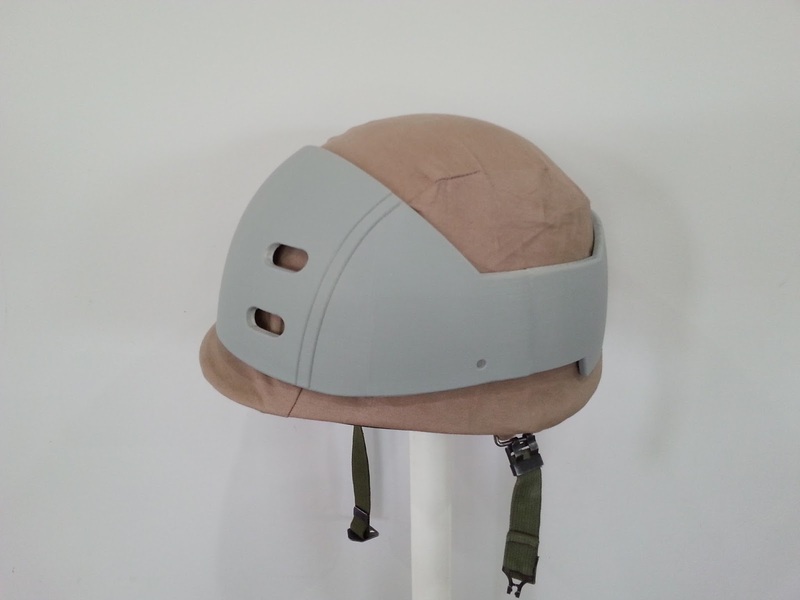 I'm very pleased that the ReMake software was successful in converting the M1 helmet to to a 3d model and that I was able to scale it correctly. 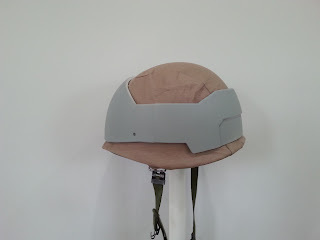 Now that the armor piece has been printed it actually fits over the helmet snug with a little room around the top for the padding that will be sewn into the baffles giving the helmet that rebel feel. 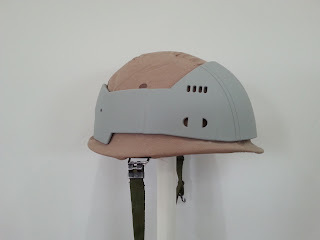 The 1st prototype is pretty close and having it in hand enables me to make a few changes. 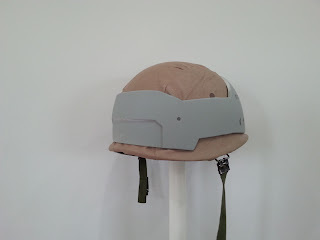 Slightly lower the front brim of the armor. 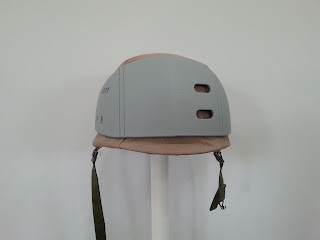 Bring the rear top angle section further around. 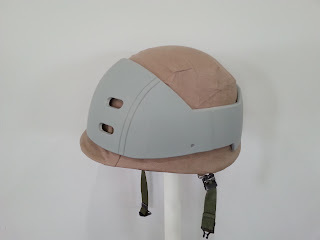 The back grill panel needs to curve around the helmet more to match the top angle which will give more room for the grill section, and most of all be more accurate.